Great news for Los Angeles. Cult bakery Milk Bar is finally opening in LA. The popular confectionary has a new home on Melrose. Acclaimed chef and creator of Milk Bar Christina Tosi is opening the brand’s first Los Angeles outpost: a bakery wonderland and R&D lab with whimsical new menu items, a hands-on classroom, and experimental kitchen. The Los Angeles location is the 15th store in the company’s footprint, but first of its kind in design. It’s the brand’s new bakery wonderland, where the original Milk Bar favorites meet an experiential classroom, imaginative kitchen, and R&D lab where customers can get a front-row taste of brand new discoveries. 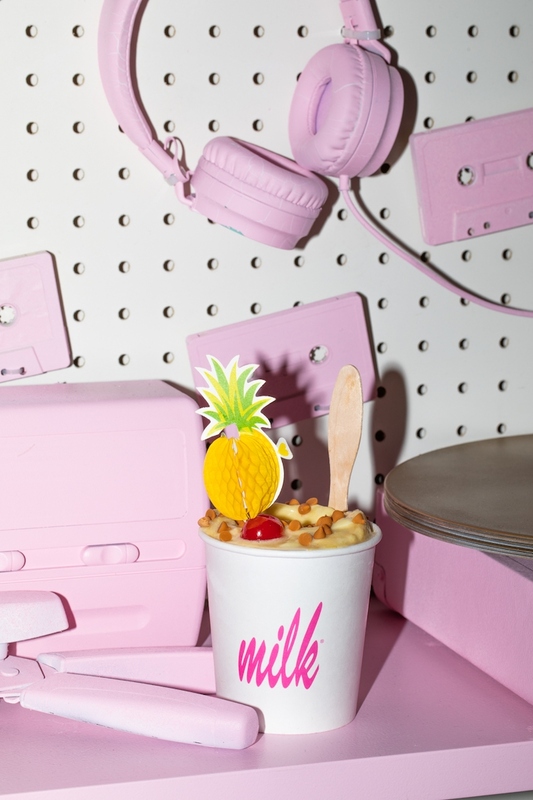 Milk Bar transformed a former laundromat and Baskin Robbins store into a distinct 4,000 square foot space, the company’s biggest to date, and includes a retail shop, classroom, and onsite kitchen, which will also serve as the company’s West Coast hub for its growing eCommerce business. 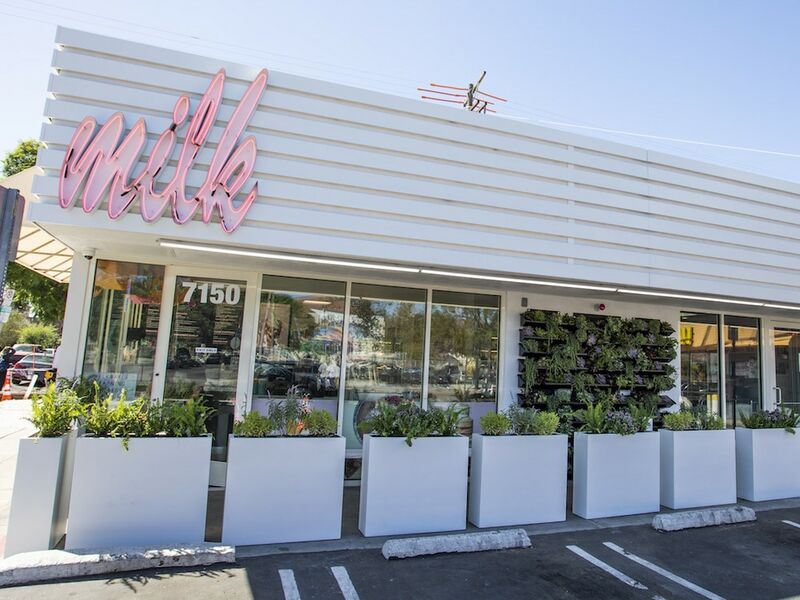 Milk Bar will also debut exclusive, new menu items only in LA, inspired by both the brand’s NYC beginnings and new West Coast home. New menu items will include sweet and savory breads including the Pastrami & Rye Bomb, Pepperoni Bomb, individual Elote Cornbread (GF), Chorizo & Egg Bomb, and Pistachio-Lemon Brioche. Angelenos will also get to feast on Pineapple Fo’ Sho Whip—a refreshing and tangy pineapple-lime soft serve inspired by the beloved Disneyland classic (that happens to be dairy-free!) also remixed into a Pineapple Upside Down Cake MilkQuake TM and Crunchy Coconut Pineapple Shake. Visit milkbarstore.com for more information.